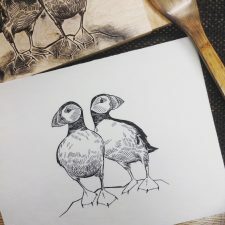 I’ve made prints in one form or another for over twenty years, but for the past decade I’ve focused exclusively on traditional woodcut prints. 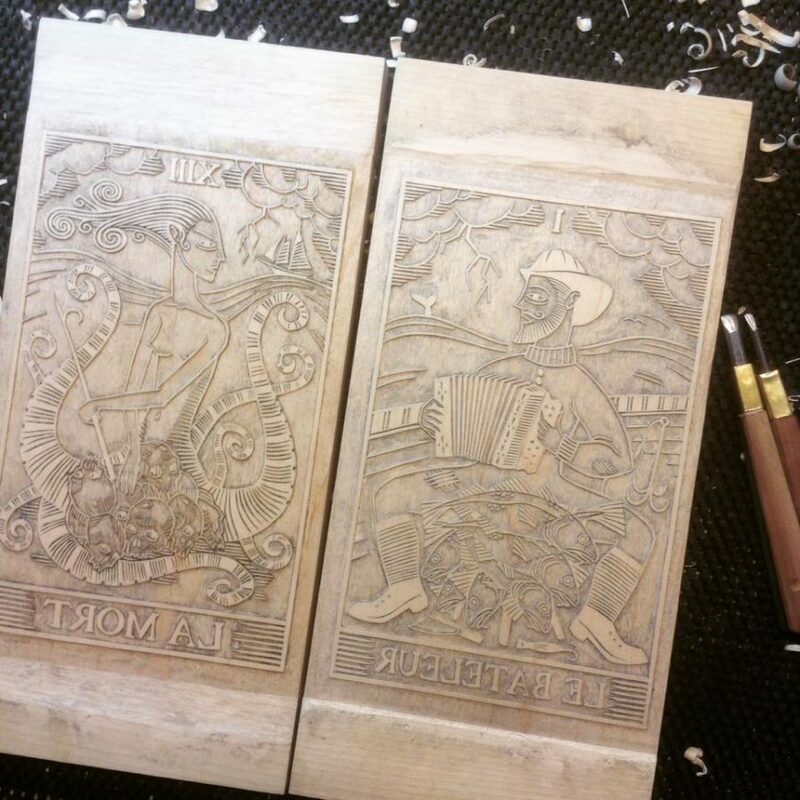 There are no chemicals and no heavy machinery involved, just a selection of hand tools and time. I use hardwoods because they retain detail and print well, and all of the papers I use are hand-made (though not by me). I don’t use a press, but hand rub each image using either a wooden spoon or a Japanese baren, a disc with a coil of rope on the underside that creates both pressure and friction. 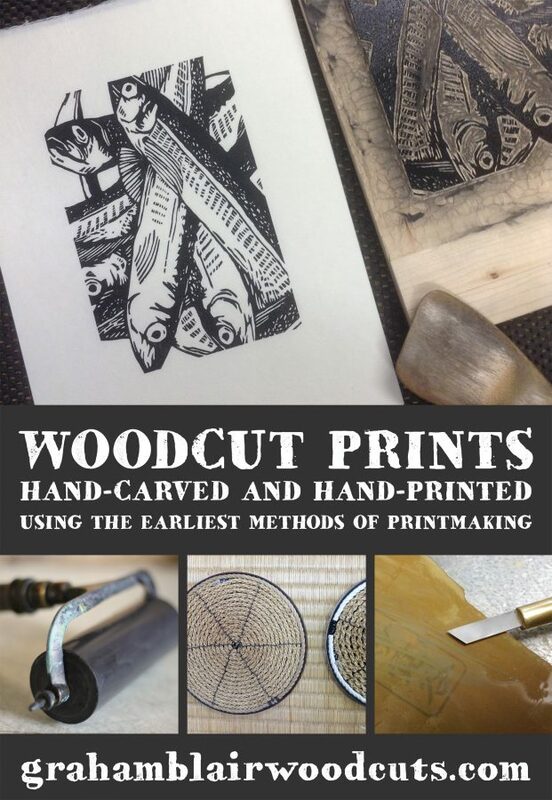 The history of woodcut prints is important to me. 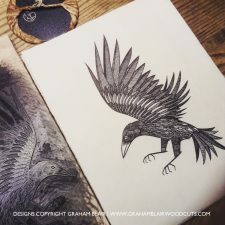 It is the first way prints were made; the oldest surviving woodcuts on paper are Buddhist sutras with beautiful illustrations that date to 7th century China. 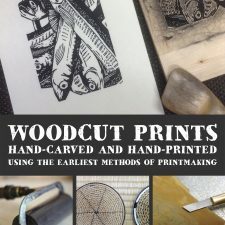 From there, woodcut printmaking spread across the world along with paper-making, becoming the main form of printing for a thousand years. 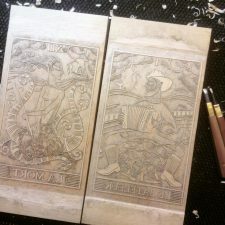 Movable type and letterpress use the same basic principle, and larger display typefaces were still made with wood into the 1800s. The tools I use for carving are all hand-forged Japanese knives, chisels, and gouges. Japanese steel is very hard and keeps a keen edge, though it has to be laminated with a more flexible steel so it doesn’t break with the pressure of carving. 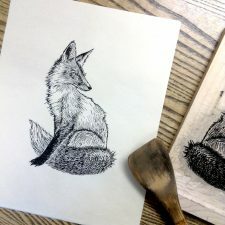 Working primarily in black and white, I use a combination of European and Japanese techniques – my approach to carving the blocks is based on Japanese methods, but I use a European roller and inks made from boiled linseed oil and soot. I hope you enjoy my work as much as I enjoy making it!